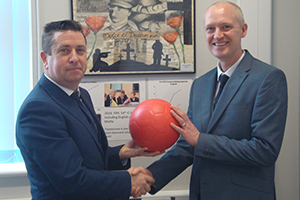 Left, Mr Brennan, Peace Fields Project Director presenting the Peace Field Poppy Ball to Mr Ingham, Thamesview School, Head Teacher. 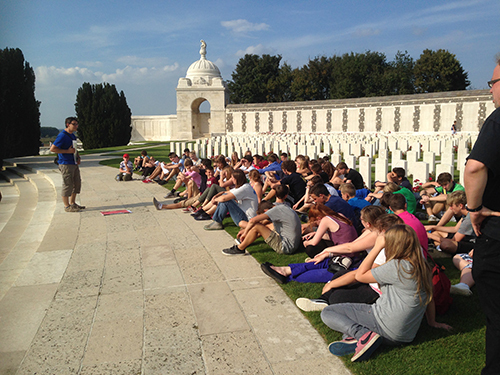 Simon Louagie, Head of Education, The Peace Village, Messines, Belgium. 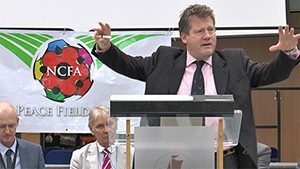 Adam Holloway, MP for Gravesham. 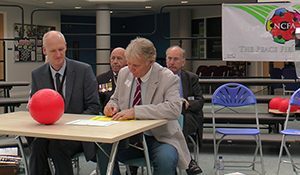 Harry Ingham, Headteacher, Thamesview School and John Carmichael, NED, International Children’s Football Alliance, signed the Declaration for Peace. 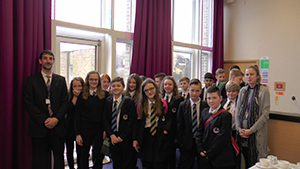 John Carmichael, said, ‘Thamesview School have shown vision and aptitude for creative learning through facilitating the Peace Fields Project’. 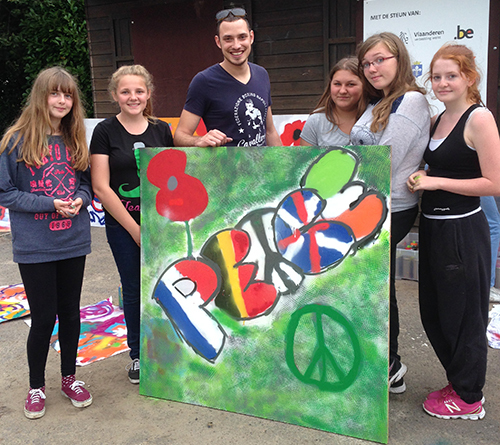 ‘Many pupils that come to learn at Thamesview School will benefit from the Peace Fields Project’. 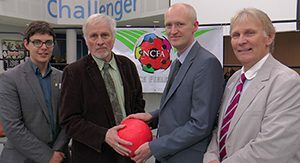 Harry Ingham, Head Teacher, Thamesview School and John Carmichael, NED, International Children’s Football Alliance. 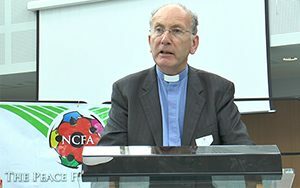 A blessing at Thamesview School by The Reverend Canon Chris Stone, Rector of Gravesend spoke about the importance of peace for future generations. 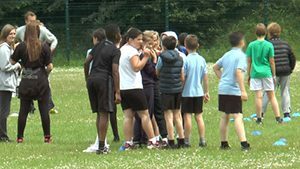 Primary link schools participated in the Thamesview Peace Games. 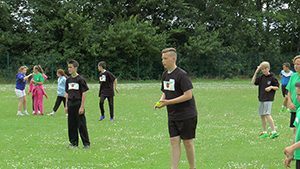 There was clearly a lot of talented you sports players on view and all their games were played in the spirit of the Peace Fields Project. Insight to First World War nursing. 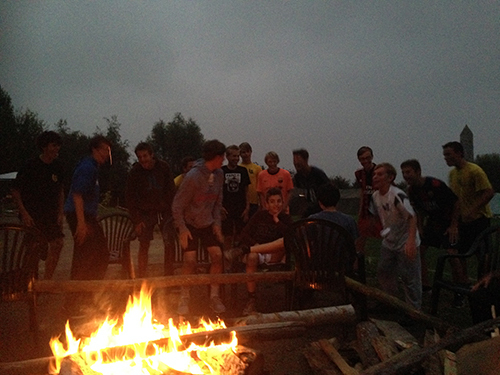 ‘Since secondary this was the best trip yet’. ‘It was very interactive’. ‘It was fun’. ‘It was interesting the way we interacted’. ‘I learnt a lot’. ‘It was entertaining’. 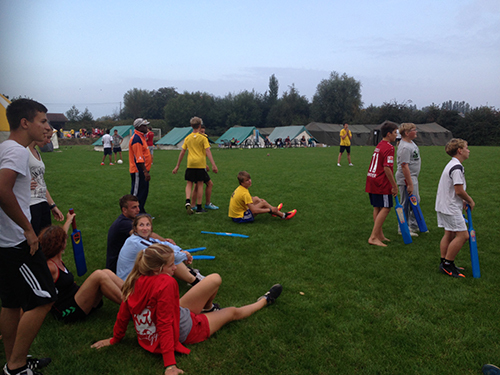 ‘We learnt a lot about the uniforms, food and the guns’. ‘It was fun. I learnt a lot’. ‘It was good because we could dress up’. ‘I enjoyed the role play’. ‘I like it when people could dress up’. ‘It was so interesting’. 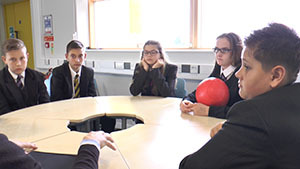 ‘It was interactive and enjoyable to listen to’. 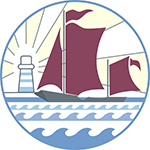 ‘I enjoyed the Maidstone Museum session because we learnt a lot and got involved with role play which helped us learn’. ‘The show made it interesting’. ‘It was entertaining’. 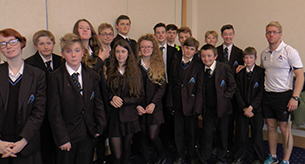 Thamesview School attended the Gateways to the First World War lecture given by Dr Emma Hannah. 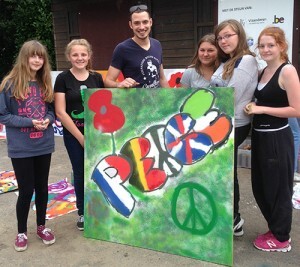 The lecture was an important part of the school’s Peace Fields Project. 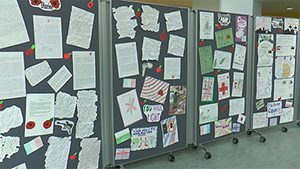 Students will use their notes to help research and compile an exhibition of their work which will be displayed at their Peace Field twinning ceremony in June 2016. 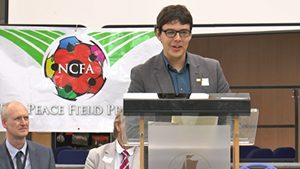 Thamesview School hosted their first Peace Fields Project workshop facilitated by the NCFA and Kent County Councils, Libraries, Registration and Archives. 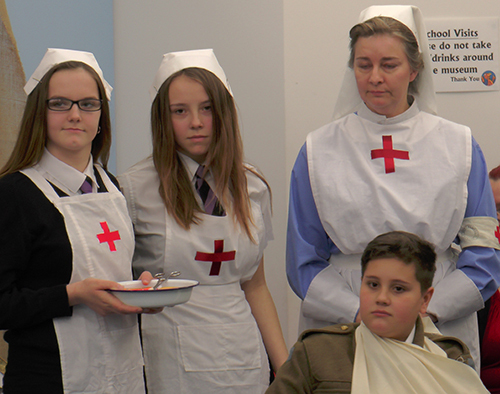 The workshop introduced the PFP and looked at how to research First World War One history in the community. 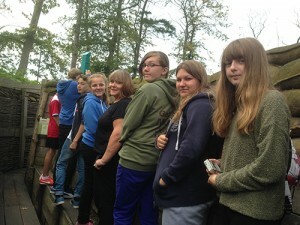 Mr Martel, Project Manager, said, ‘The response from the pupils was very positive. There are some great ideas being discussed and everyone is looking forward to starting work on it’. Passchendaele Museum. Pupils experience a First World War trench.